This is a condensed version of this video. Click here for full version. It is available to members of the site or on a pay-per-view basis. 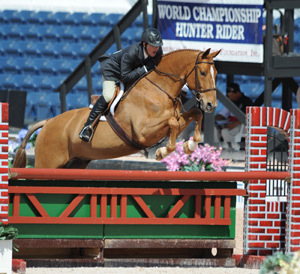 Peter Pletcher, owner of PJP Farm, is one of the most successful Hunter/Jumper trainers in the country. 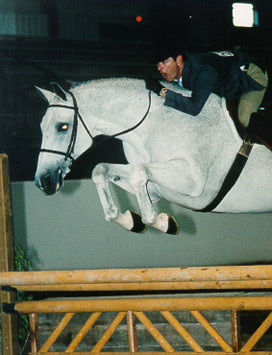 Having been in this business for over 30 years, Peter has ridden and trained some of the country's top horses and has received most of the industry's top honors. A few of his career highlights are listed below. 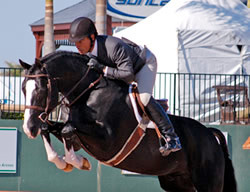 Peter has ridden numerous horses to top National titles, as well as championships at all the major indoor shows and the prestigious Devon Horse Show. In 1991, he piloted his jumper, Uncle Sam, to win the prestigious President's Cup at the Washington International Horse Show. Peter has represented the US in numerous International World Cup Competitions. 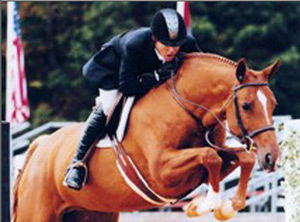 In 2002, the Chronicle of the Horse named Peter the Professional Rider of the Year. Also in 2002, he was honored with the Emerson Burr Trophy. 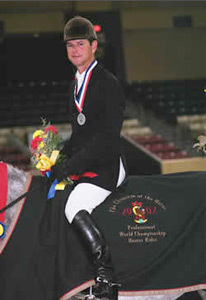 In 2002, 2004, and 2007 Peter won the title of World Champion Hunter Rider of the Year, in an annual event sponsored by the American Hunter-Jumper Foundation. In 2005 and 2007, he was named to a team that represented our country before an international audience in Las Vegas. The World Champion Hunter Rider Team Challenge pitted four top US hunter riders against an international team of world class jumper riders. To this day, Peter considers that a career milestone. In 2010 he was asked to participate in a demonstration of the Hunter Derby Classics at the World Equestrian Games in Lexington, Kentucky. 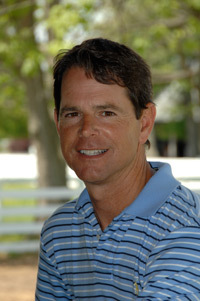 In addition to his own successes, Peter has coached his clients and their horses to numerous National titles and honors. Throughout his career, Peter has been known and appreciated for his amazing riding ability, expertise and fun loving personality. Hunter superstar, Peter Pletcher, has been educating and entertaining our members since 2011 with great topics for the hunter ring, like "Riding the Handy," "Picking a Young Hunter" & "Unnecessary Drama." Now we get a chance to see Peter's introduction to the sport! Be prepared to be delighted in his interview as he shares some hilarious anecdotes about his own evolution as a professional... and don't miss some fun outtakes at the end! Hunter superstar, Peter Pletcher, has been educating and entertaining our members since 2011 with great topics for the hunter ring, like "Riding the Handy," "Picking a Young Hunter" & "Unnecessary Drama." Now we get a chance to see Peter's introduction to the sport! Be prepared to be delighted in his interview as he shares some hilarious anecdotes about his own evolution as a professional. Peter shares some of his secrets to successfully navigating the different elements of a Handy Hunter course. Along with many tips to produce a seamless round, he demonstrates several exercises you can practice at home to prepare for the show ring. Peter examines some of the fads in riding techniques that seem to permeate the hunter division these days. He demonstrates how over-exaggerated gestures on the part of the rider don’t necessarily enhance the horse’s jump or way of going and, in fact, may cause the judge to be distracted instead.